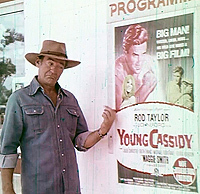 Rod Taylor took part in a huge promotional campaign for Utah Development Company, a U.S.-controlled operation that was the biggest exporter of coal from Australia. 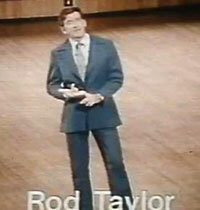 Rod made a series of four 60-second television commercials with the theme "Utah: We're backing Australia." They started airing Sunday night, Jan. 16, 1977. Rod also participated with Australian opera star Joan Sutherland in promotions for a special televised performance of "Aida," hailing the company's sponsorship of the national opera. The promotional activities were designed to prompt Australians to look more favorably upon the good things the American company did for their economy and culture. Rod was paid handsomely for the ads -- a sum amounting to about one-third of the entire budget of "The Picture Show Man," which he had just finished shooting. He also was treated to first-class travel and accommodations during the six days of shooting in Moranbah, Queensland. 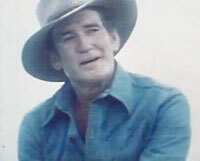 "Rod few up there in the company's Lear jet and stayed in the guesthouse reserved for Utah bigwigs," author Stephen Vagg wrote in "Rod Taylor: An Aussie in Hollywood." 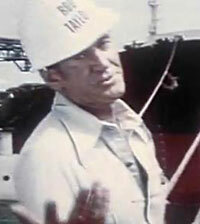 The series of ads had been scheduled to run for a year, and Utah had an option to use Rod for a further year if it decided to film a new campaign. However, the ads were not received well and were pulled. The Utah ads, Vagg wrote, produced a "sour taste that came from an American company making money out of an Australian natural resource [and] paying an American-based Australian star to tell Australian audiences how good the company was for Australia." Utah's mining operations and financial dealings were the subject of an hour-long Australian news program, "Four Corners," on Nov. 4, 1977. The report includes clips of Rod's promotional messages for the Utah Development Company. The following video is a combination of clips from the "Four Corners" broadcast and segments from 35mm workprints without audio. Four Corners news program about Utah's mining operations. Includes clip of Rod's promos.